[toc]Eczema is a serious skin disease which is accompanied by swelling, itchiness and redness in the skin causing a lot of pain and discomfort. Eczema can affect any body and can appear in any part of the body. Generally it is excessive dry skin or too much oily skin that gives rise to eczemas most of the time. Even on many occasions mental stress or extreme climatic conditions like too much heat can also cause eczema. It is a skin disease that should never be neglected and treated immediately so that sufferings can be reduced. 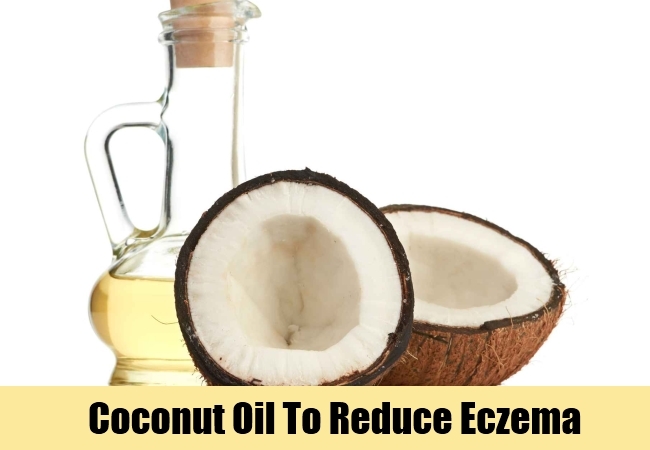 Though nowadays skin specialists suggest various creams and medicines for its cure but effective natural home remedies are still regarded as the best cure for eczema. 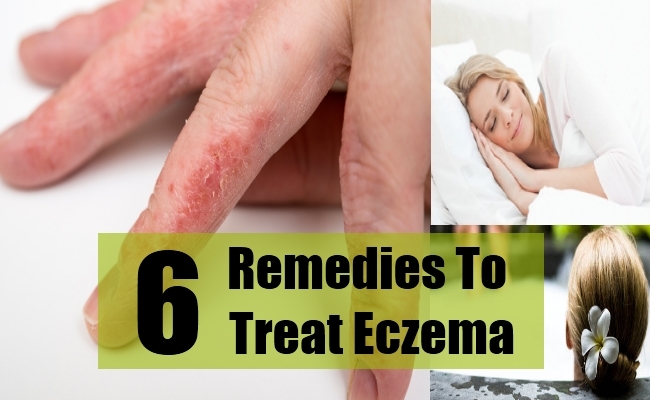 There are 6 home remedies mentioned below which are very effective for treating eczema. 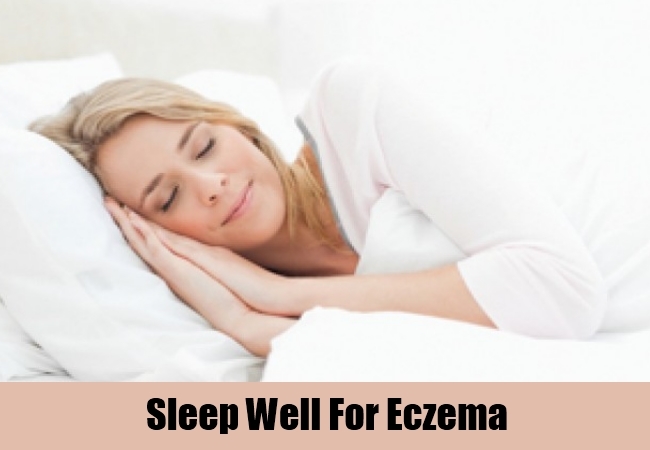 If you sleep well every night and exercise everyday then you can effectively treat eczema to a considerable extent. Regular exercise invigorates the body and improves the quality of sleep. Exercises like jogging, walking and swimming cleanse the internal system of the body and thus keep the body healthy and help curing eczema faster. A good 7 – 8 hours of sleep everyday is very essential for treating eczema effectively. 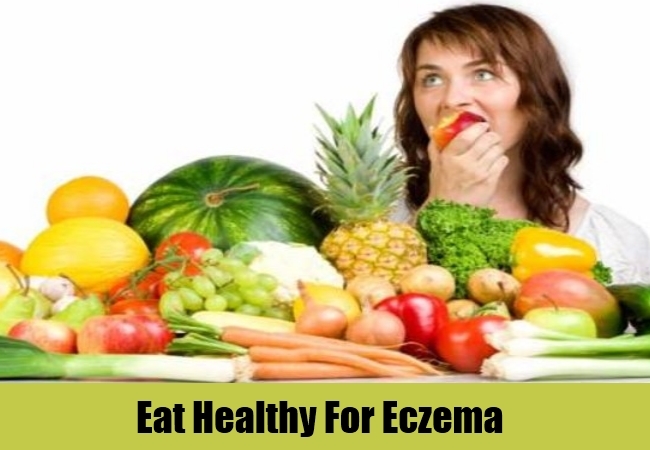 It is very important to eat healthy in order to treat eczema. Eat sufficient quantity of protein, healthy oils and vitamin rich fresh fruits and vegetables. Avoid processed foods and very oily and deep fried foods completely. There are many occasions where eczema occurs due to lack of nutrition and healthy diet. Eat foods rich in vitamin A, E and C as they help to treat eczema faster and also prevent its occurrence to a great extent. Taking bath by adding sea salt in the water is a very effective remedy to treat eczema. Add two cups of sea salt in the water with which you are taking bath. Leave the water for 10 minutes and then start taking the bath. Sea salt bath is very effective as it hydrates the skin tissues and reduces inflammation and pain. 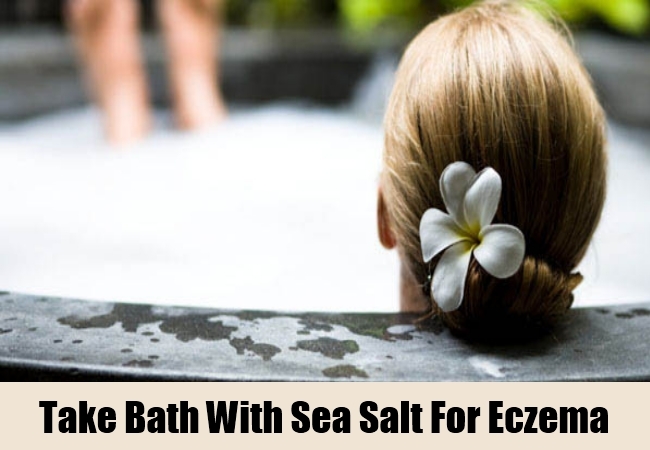 If you take sea salt bath everyday then you can successfully treat eczema to a great extent. 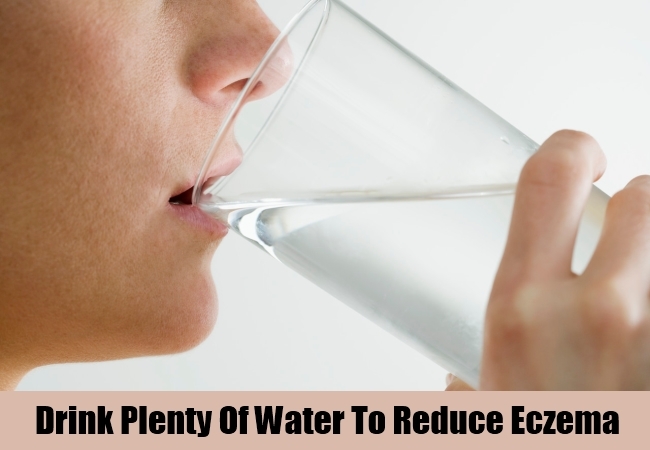 Another effective remedy to treat eczema is to drink plenty of water every day. Drink at least 8 -10 glasses of water every day as it helps to flush out the harmful toxins out of the body and also helps to hydrate the cells which helps to treat eczema faster. 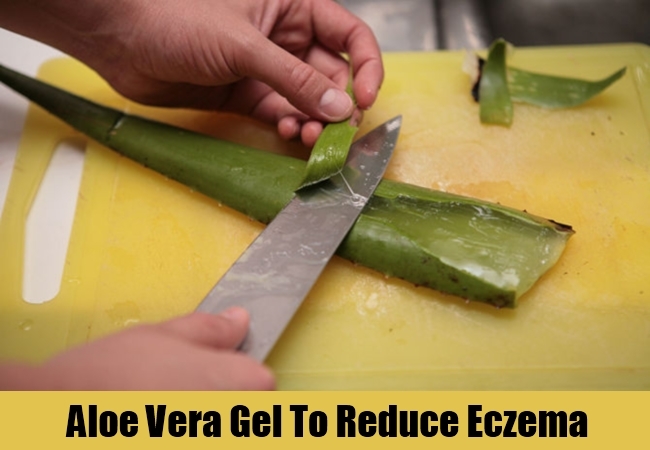 The gel that comes out from the aloe vera plant is very effective in treating eczema. Cut an aloe vera leaf and you will find a gel coming out of it. Apply this gel in the eczema affected areas and it will give you excellent results in few days. You can buy 99.9 % pure aloe vera gel from the health stores as well. This aloe vera gel is considered as one of the most effective home remedies to treat eczema completely. Dry a watermelon peel and then burn it to ashes. Then add warm coconut oil into the ashes and make a paste and apply it in the eczema affected areas and then leave it for some time. After this, wash the area with lukewarm water and you can see the results in few days. This paste is regarded as one of the best home remedies to treat eczema successfully. Never neglect eczema and follow these effective home remedies regularly in order to cure it completely.